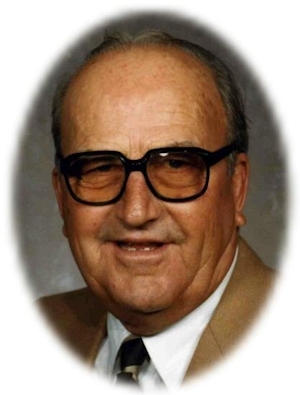 Obituary – Kennedy, Donald Lee « Perry High School Alumni Association, Inc.
– son of Mr. and Mrs. Emmett Kennedy, was born June 16, 1917 at Lucien, Oklahoma. He has attended Cooper school and Perry High school. He was a member of the wrestling team. Donald L. Kennedy, 88, of Perry, Oklahoma was the son of Emmett Kennedy and Bessie May (Wolleson) Kennedy. He was born June 16, 1917 at Lucien, Oklahoma and died Wednesday, December 13, 2006 at Perry Memorial Hospital. Donald served his country with the U.S. Army Air Force during World War II. He worked as an independent oil field consultant for 40 years before retiring. He and Maxine Cross were married in November 1980 at the First United Methodist Church in Stillwater, Oklahoma. Donald was a member of the First United Methodist Church in Midland, Texas and the Elks Lodge. Funeral services will be at 2:00 p.m. Saturday, December 16, 2006 at the First United Methodist Church in Perry. Rev. Ed Cook will officiate. Interment will be in Grace Hill Cemetery at Perry. Services are under the direction of Brown-Dugger Funeral Home of Perry. Memorials may be made to the First United Methodist Church of Perry in care of Brown-Dugger Funeral Home, 1010 N. 7th Street, Perry, Oklahoma 73077. Survivors, in addition to his wife, Maxine, are one daughter, Kay Connery, of Midland, Texas; two grandchildren and two great-grandchildren. Don was preceded in death by his parents, one son, Donald Kennedy Jr., and one brother, Gilbert Kennedy.